We are excited to send a team from The Church at Spring Hill to minister to the people of Neply, Haiti next month. This is our second trip to this village as a church. We know God is going to do great things through this team. And you can help them! Over the next few Sundays, we are collecting supplies for the team to take on their trip. Here are some of the items: Suitcases, peanut butter, jelly, baby wipes, Pediasure powder, formula powder, prenatal vitamins, children's multi-vitamins, HP Black and Color Printer cartridges (No. Black 61XL/Tri-Color 61XL), muffin mix (add water only), large brownie mix, Clorox wipes, paint brushes, and diapers (size 3 through adult small). Will you consider "going on mission" by bringing some supplies this Sunday? And this is the final week to get connected to a Community Group for the fall semester! Sign up for a Community Group online (https://churchatsh.churchcenter.com/groups/community-groups) or this Sunday. I look forward to starting a new sermon series in the book of Mark this Sunday. We are going to take the next 9 weeks to look at who Jesus is through Mark's gospel. 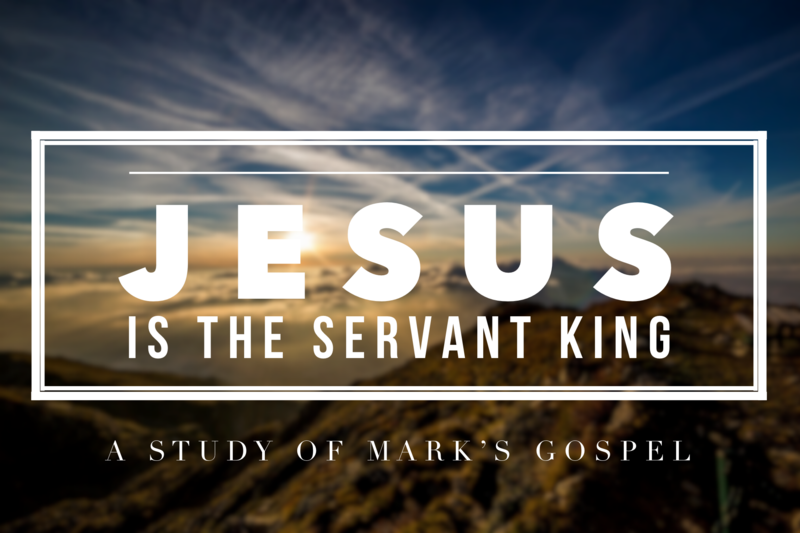 The sermon series is called "Jesus is the Servant King." Coffee starts at 9:40am and worship starts at 10am.